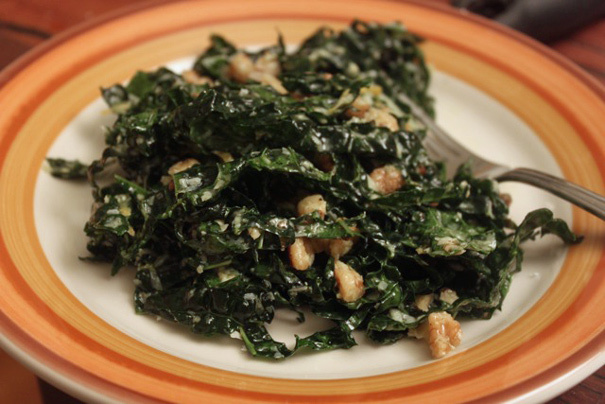 Say “raw kale salad” before serving dinner and you may not get the round of applause you were hoping for. 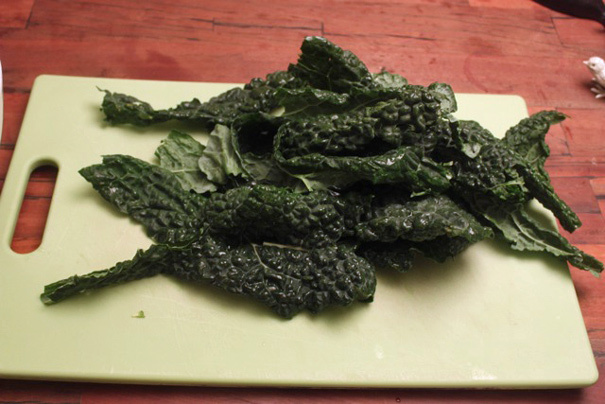 That’s unfortunate, though, because raw kale–which, I should say here, is incredibly good for you–is so easy to dress up. 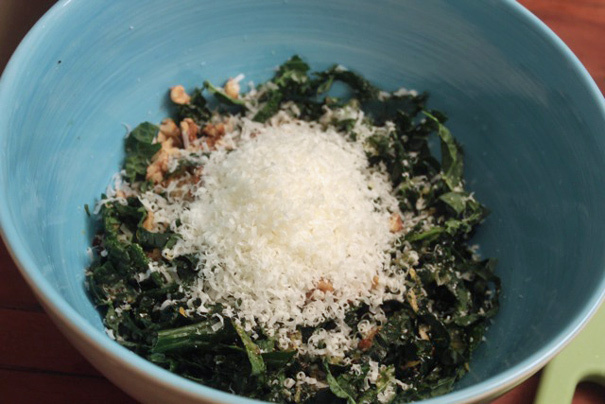 I’ve had raw kale salads before, mostly at hip Italian joints like Franny’s in New York, but I’d never made one. Then last week I had some leftover kale (Tuscan kale, in fact) from a lentil soup that I love from my cookbook (just 8 more months ’til you can buy it!). 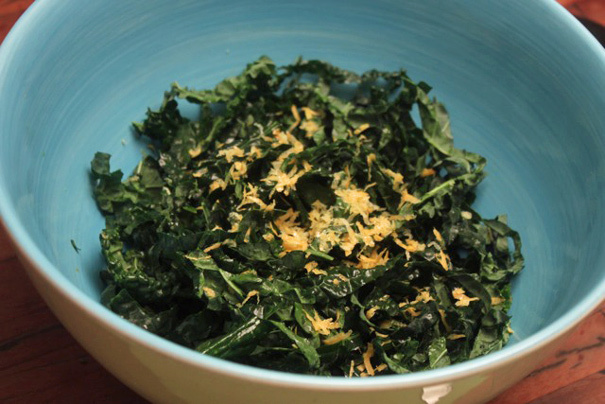 I decided that, along with the leftover lentil soup, I’d serve up a raw kale salad that I would improvise on the spot. Now’s the fun part. 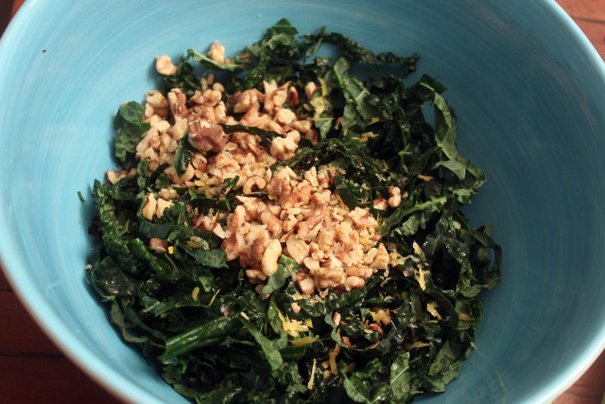 Take a big handful of walnuts and toast them in a dry skillet until they’re fragrant and warm. I have to say here, as an aside, that I’ve been blown away recently by how much walnuts change when you toast them. In their natural state, straight from the bag, they can be kind of bland and airplane snack food-like; toasted, they get crunchier and they release all their oils so they have this intensified walnut taste. 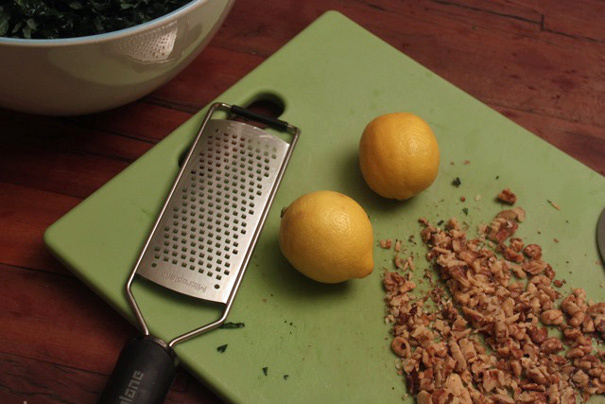 I’ll never not toast my walnuts again! 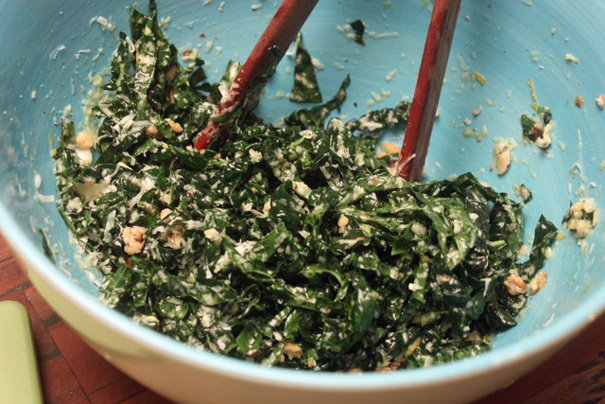 Kale is such a resilient leaf it can hold up to the onslaught of olive oil, lemon juice and cheese. In other words: it’s easily corruptible. 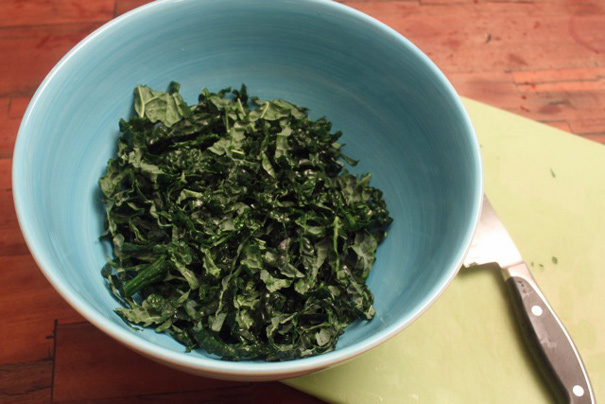 And that’s what makes a raw kale salad great.